At the beginning of 1944, Primo Levi, a Jewish chemist and future writer, was deported to the forced labour camp at Auschwitz. One day during the summer of that same year, while working on building a wall, he overheard someone talking in the familiar parlance of his native Piedmont. He discovered that a group of Italian civilian workers had been sent to nearby Monowitz by an Italian building firm called Boetti. 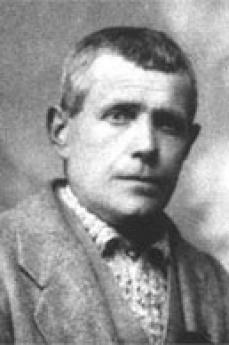 Levi managed to approach one of them, Lorenzo Perrrone, and to tell him about the terrible conditions of the deportees. From that moment until December 1944, the bricklayer was to steal food from the kitchen to feed him, he found him a sweater to keep him warm and he corresponded with Levi’s family; all this without demanding anything in exchange, in a spirit of true altruism. Through Perrone, Primo Levi’s mother Anna Maria and his sister Ester, who were in hiding in Italy, managed to send him a parcel containing chocolate, powdered milk and clothing. The front was gradually moving closer and the foreign workers had to be repatriated. The last meeting between the two men took place after a heavy allied bombardment, and Lorenzo apologized because sand and grit thrown up by an exploding bomb had fallen into his soup; at the same time he concealed the fact that his eardrum had been injured in the blast. Thanks to Perrone, Primo Levi found the strength to survive, to cling to hope despite the desperate conditions of the lager, as he recalled in The drowned and the saved: “If I ponder on the reasons why I, among thousands of others like me, stood the test, I believe that I owe it to Lorenzo if I am still alive today; and not so much because of the material help he gave me, but for having constantly reminded me, with his presence, his unobtrusive and easy way of being good, that there was still a just world outside our own, something and someone still pure and whole, not corrupted or savage, extraneous to hate and fear (…) a remote possibility of good, that made it worth struggling for survival (…). His human kindness was pure and uncontaminated (…). Thanks to Lorenzo I managed not to forget that I myself was a man”. After the end of the war, having returned to Turin, Levi contacted Perrone and went to see him in Fossano. He later arranged for his admission to hospital in an attempt to cure the tuberculosis that eventually killed him. He also named both his children, Lorenza and Renzo, after him. In his books If this is a man and Lilit and other stories he remembered Lorenzo with profound gratitude. On 7 June 1998, Yad Vashem recognized Perrone as a Righteous among the Nations. His story is in folder number 3712. In the 50es, the State of Israel established Yad Vashem, Jerusalem's Mausoleum to remember the victims of the "final solution" planned by Hitler. At the beginning of the 60es, the "Righteous Commission" was established, with the task of bestowing the title of "Righteous among the Nations" on the non Jews who rescued Jews during Nazi persecution. Inside Yad Vashem the "Garden of the Righteous" with an avenue in which every tree is dedicated to a different Righteous, was set up. Over the past year, due to a lack of room, the trees were replaced with the carving of the Righteous' names into the walls enclosing the garden. The Commission, chaired for nearly 30 years by the judge of the Constitutional Court Moshe Bejski, has recognized and documented until now about 20,000 Righteous. Out of them we picked some. Nonetheless, as Bejski used to recall, the Righteous are many more than that and the duty of the Commission is that of identifying and awarding them before the passing of time makes the pieces of testimony and the other documental evidence of their rescue deeds vanish. The Italian case shows that this concern of Bejsky was well-founded: the high number of Jews who escaped the "final solution" is not compatible with the few Righteous recognized in Jerusalem (nearly 500 at the end of 2011). This is why it is important to identify the cases that have remained unknown and activate the proceeding at the Commission to start the inquiry leading to more assignments of the title of "Righteous among the nations".